(April 26, 2005) -- LBReport.com has learned that two east coast firms -- including a DC-NYC firm that touts its media and message management techniques -- are involved with efforts by a group calling itself the "Long Beach Alliance" in connection with a still-murky campaign regarding LB Airport. 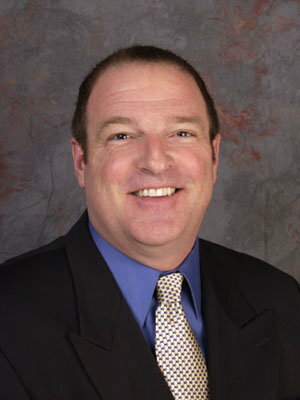 LBReport.com has learned that the "Long Beach Alliance" has retained the Glover Park Group, described in other press accounts as a "public relations firm," whose partners include Joe Lockhart (White House press secretary during the Clinton impeachment), Howard Wolfson (advisor to then-candidate, now Senator Hillary Clinton) and Carter Eskew (advisor to Al Gore's presidential campaign despite Eskew's prior work with the tobacco industry.) Messrs. Lockhart and Wolfson also played roles in the Kerry presidential campaign. We make sure you know exactly where you stand and where you need to go. We craft disciplined messages that reach and move your key audiences. We move quickly and deliberately, both internally and externally, to deliver your arguments to the public. When required, we move past the press and politicians and use paid advertising to push through a positive message. ...From the White House podium to the halls of Congress to the busiest newsrooms in the nation, we know the media. We specialize in message development and strategic placement of your story in print, radio, television, and the Web. We believe in targeted, hands-on communication. On April 19, LB City Clerk Larry Herrera received a letter from a northern California attorney representing the "Long Beach Alliance." Before posing three questions about filing fees, deadlines and the like, it opened with two paragraphs of non-legalistic verbiage describing the Long Beach Alliance as "a group of Long Beach residents who are committed to upgrading our airport from its current temporary facilities to permanent structures that are more comfortable, safer, more convenient and in keeping with the airport's current small city feel...This is not an effort that will expand the number of flights...These citizens...are looking to make basic improvements at the airport so that travelers can grab a bite to eat at the airport before flying across the country." Upgrading the airport is critical to [sic] for our City's success, which is why these citizens who have a long track record of putting the interests of the entire community first -- and are not part of a narrow special interest crowd that speaks on behalf of a minute slice of Long Beach -- are assembling a broad-based coalition that will work to create a broad consensus around a sensible plan that will meet the needs of Long Beach today and well into the future. The Press-Telegram reported the letter on April 20, including its claims about not expanding the number of flights and letting travelers grab a bite to eat. The letter concluded by asserting, "[W]e are assembling a coalition that will work to create a broad consensus built on the facts, not inflammatory, deceitful rhetoric that will meet the needs of Long Beach today and well into the future." To our knowledge, no LB media outlet published the claims in the Donelon letter. A receptionist at the Glover Park Group's DC office indicated that the firm has the Long Beach Alliance account and referred our call to a person with a phone number in the (310) area code. LBReport.com left messages today at that telephone number inviting information about the group's activities for publication. 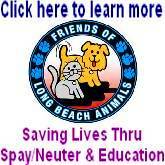 LBReport.com has separately learned that a web site for the "Long Beach Alliance" was registered on March 26, 2005 by "Mindshare Interactive Campaigns, LLC," based in Washington, D.C. The firm's website says, "Mindshare Interactive Campaigns helps organizations leverage the communication opportunities created by technology. Since 1997, we have worked around the world with many of the leading corporations, associations, non-profit organizations and governmental entities to accomplish complex objectives." The firm indicates that its services include a "Letter Campaign" that "allows organizations like yours to mobilize members, employees, and supporters to communicate with federal, state or local officials on important issues with a consistent, timely message."